POF was my first dating app I’d ever tried. My friends talked me into it and I was like, “no way”, but I gave it a try anyway. What did I have to lose? I was on POF for about a month when I found Chris’s profile. When I saw his pictures, I just knew he was the one. I could tell in his eyes. So I messaged him. He messaged me back right away and we hit it off. We couldn’t stop talking and we arranged to meet in person just a few days later. It was love at first sight. We fell completely head over heels in love. In October of 2018, only 10 months after we first met, Chris proposed to me. Our wedding is March 9, 2019 and we are so excited! 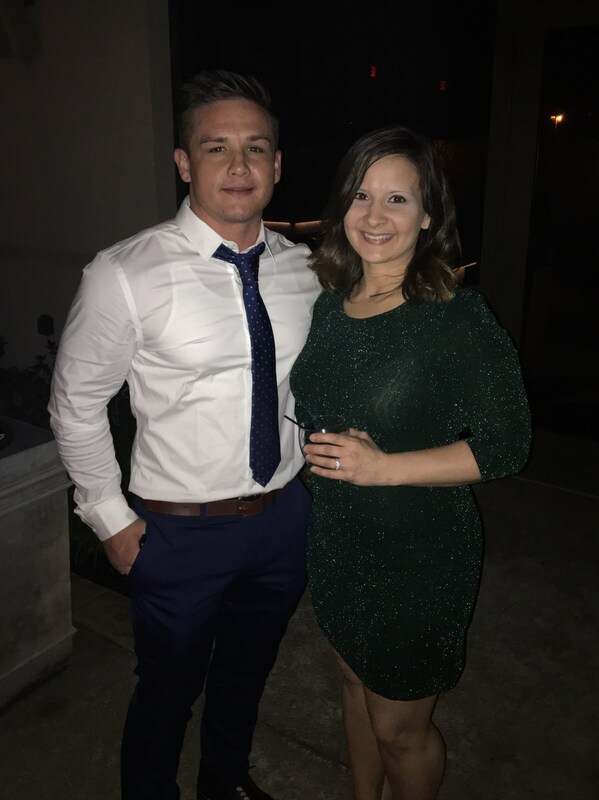 Neither of us have ever been married- he at 32, me at 33. We still can’t get over how lucky we are and how crazy it is that we met on a dating app. I’m so glad I took a chance and downloaded the POF app. I’m so happy to have found the man of my dreams! He makes my life complete!!! ????? ?